Project managers can assist their organizations in improving how they implement projects in the most effective and efficient way while reducing risks. But this requires much more than just recognizing organizational priorities. You have to have a deeper understanding of how each project management methodology can create the greatest positive impact — and how each can derail your organization’s likelihood of project success. 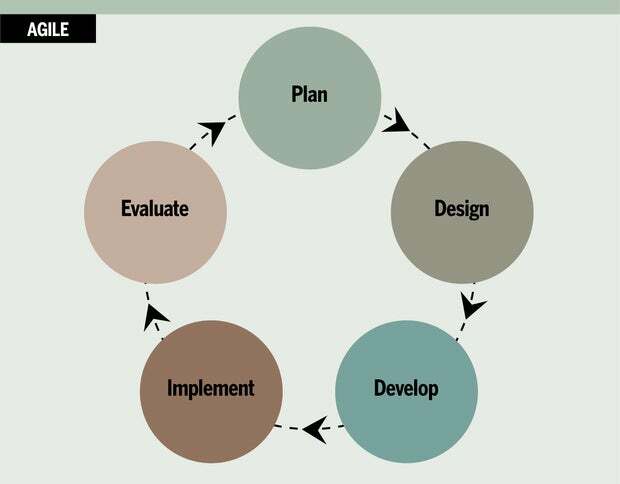 Waterfall: Waterfall has been a mainstay project management methodology for years. It is sequential in nature and is used across many industries, most commonly in software development. It comprises static phases (requirements analysis, design, testing, implementation, and maintenance) that are executed in a specific order. 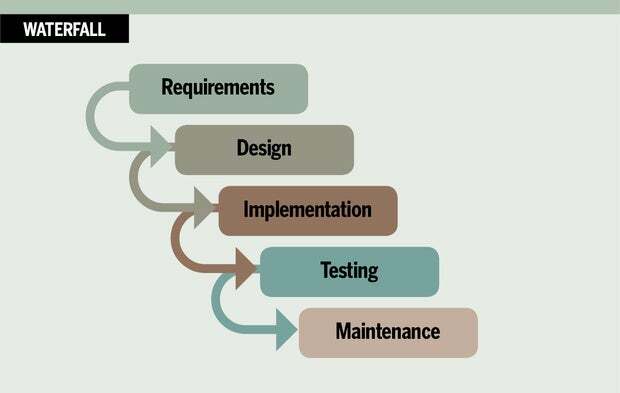 Waterfall allows for increased control throughout each phase but can be highly inflexible if a project’s scope changes after it is already under way. It offers a more formal planning stage that may increase the chances of capturing all project requirements up front, reducing the loss of any key information and requirements in the initial stages. Scrum: Named after rugby, scrum is a part of the agile framework and is also interactive in nature. 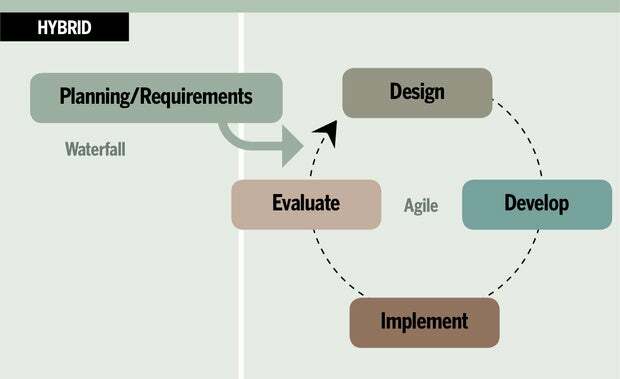 “Scrum sessions” or “30-day sprints” are used to determine prioritized tasks. A scrum master is used to facilitate instead of a project manager. Small teams may be assembled to focus on specific tasks independently and then meet with the scrum master to evaluate progress or results and reprioritize backlogged tasks. 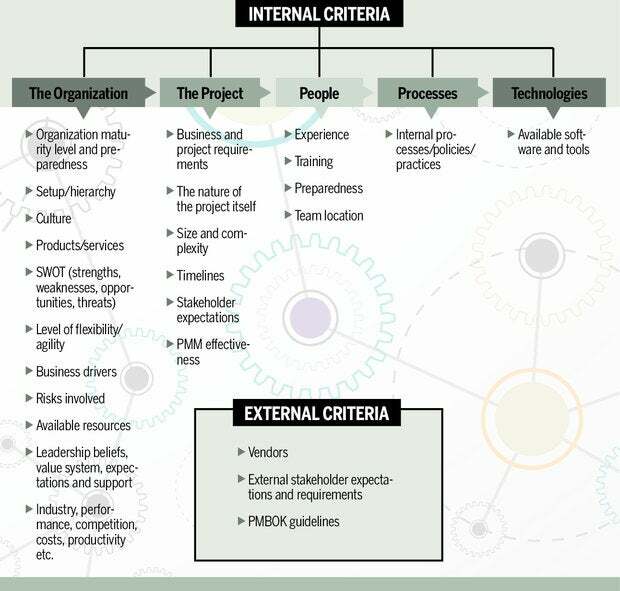 Because of the various strengths and weaknesses of each PMM, organizations may want to consider adopting multiple project management methodologies based on the unique nature of their project, organizational makeup and project goals. Either way, organizations need to develop standardized best practices that can be refined as various factors change. Here, the key is to figure out how a specific project aligns with company-wide objectives. Once success or failure criteria can be isolated, it’s easier to find the most suitable methodology or methodologies that will enable your organization to effectively and efficiently reach the desired business result.